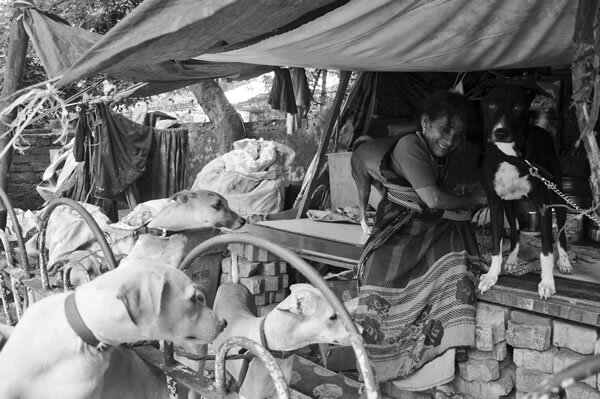 Moving image “Shobha stays on the footpath before the Famous Studious lane in Mahalaxmi. When I asked her about the dogs, she defensively responded, ‘Yeh mere hain. Maine inko paala hai. (These dogs are mine. I’ve raised them. )’ She goes on to tell me that a few years ago she found two puppies in a box and immediately took a liking to them. Now these puppies have grown up and have had a litter and she could not be happier.